What are the obstacles to truly person centred support? 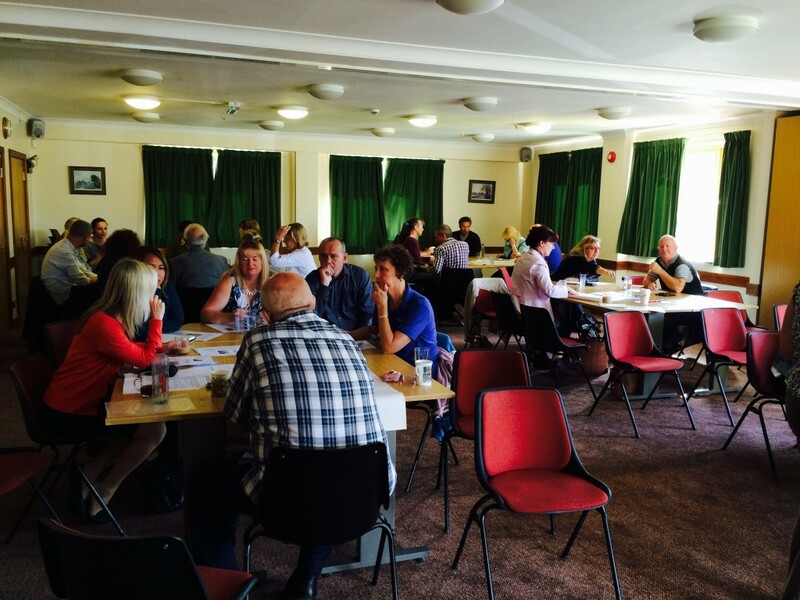 This blog is about a recent workshop we ran with the West Sussex Provider Forum looking at what practical steps we could take to change the way we provide support services so that people with learning disabilities are being supported in truly person centred ways. It’s easy for us all to use the term ‘person centred support’, this workshop was to challenge ourselves to think if we really are practicing what we preach, and what we can all do to improve our practice. This is building on our campaigning work funded by the Esmee Fairbairn foundation, and there’s more about our ‘plans’ here. To generate discussion about what is within our power to change around rigid support systems that restrict people with learning disabilities to lead the lives they really want. How can we all achieve true person centeredness? To run a practical workshop looking for real solutions and to create an honest debate about the problems we face. ‘Keeping it punk’ is a phrase I’ve used quite a bit lately and earlier in the week me and Madeline were speaking at Think Local Act Personal’s Building Community Capacity network meeting earlier about the work we’re doing with Gig Buddies and the idea that we should just get on and try things resonated with everyone there. Likewise, there was the same spirit in the room at the West Sussex Provider Forum as we all worked together to grapple with the issues that are holding people with learning disabilities back from leading the lives they want. There’s no denying that these are incredibly challenging times at the moment but there’s still a passion and determination to improve things, and it’s clear it’s not all about money. It’s also clear that the general feeling is that we’re not getting it right in social care at the moment and that things need to change for things to improve for the people we support. There’s also a responsibility under the Care Act to ensure that support is provided in a way that provides a personalised service. What is the right to Stay Up Late important? Not giving people control leads to wider health problems – physical and mental. Following this we watched two short clips from the Heavy Load movie. The first clip features an interview with drummer, Michael, talking about his hopes in life and what his interests are. One thing he talks about is wanting to move to Brighton “where all the action is” and why he wants to do that. (Brighton is a few miles along the coast from Peacehaven where Michael lives). The second clip shows Michael in his review meeting a few weeks later. We’d recently played a gig in Newcastle and Michael thought Newcastle looked even more fun than Brighton. Here’s how that meeting went. (At the provider forum there was a suggestion that maybe this clip was staged but I can guarantee that is genuine footage of the meeting, there were no retakes or anything). What’s getting in the way of providing really person centred support? It was also acknowledged that social care needs to raise £1bn to support increase in minimum wage and these are incredibly challenging times. What was welcoming though was a real desire in the room to change the way we work regardless of these pressures. There was then group work to consider what we have within our power to change, this was fed back to the whole forum at the end. We will put the expectation to be flexible around work patterns in all support staff job descriptions. Managers will role model good practice, setting a positive example and encourage cultures that support staff to be spontaneous in the way they support individuals. Senior managers to review the way services are delivered – viewing staff as assets and looking at how their skills and interests could best provide support across different settings. We will ensure people with learning disabilities are meaningfully involved in the recruitment of their support staff (and management) and pay particular attention to recruiting staff with shared interests. We will make a concerted effort to develop our roles as ‘community connectors’ making links with local businesses and universal services to explore opportunities for greater community involvement. We will let our local politicians know what we are doing to support people and create opportunities for people who use services to lobby politicians and be more politically active. We will provide clear information and advice on how people can commission their own services. We will create a risk assessment framework that promotes staying up late and focuses on making things happen. We will have an honest and open discussion with management teams in our organisations to challenge ourselves around whether our support is truly person centred, and develop improvement plans for areas where weaknesses are identified. We will have a regular agenda item at provider forums which will enable us to discuss one of these ten areas on an ongoing basis. Is that a promise? How we will know what’s worked? The purpose of this workshop was to act as a catalyst for change so we all felt that it’s important that we keep this discussion going and that it’s important that we talk openly about the challenges we face, what’s worked, what’s not worked and why. So we’re going to go back to the provider forum in the new year to see what’s happened as a result of today’s workshop. This was a workshop that we felt was a really invigorating and thought provoking experience. Thank you West Sussex! Following this workshop the provider forum want to take forward discussing risk and how it is managed at their next forum. In particular how they maximise opportunity whilst also managing risk? What are the impediments/obstacles and how are decisions reached? Also has risk management changed over the years? Do the current risk systems deployed manage peoples aspirations to have sustainable, normalised lifestyles? It’s great that West Sussex are up for taking on the challenge for discussing these serious, difficult and complicated issues to ensure the people they support have every right to leading full lives.